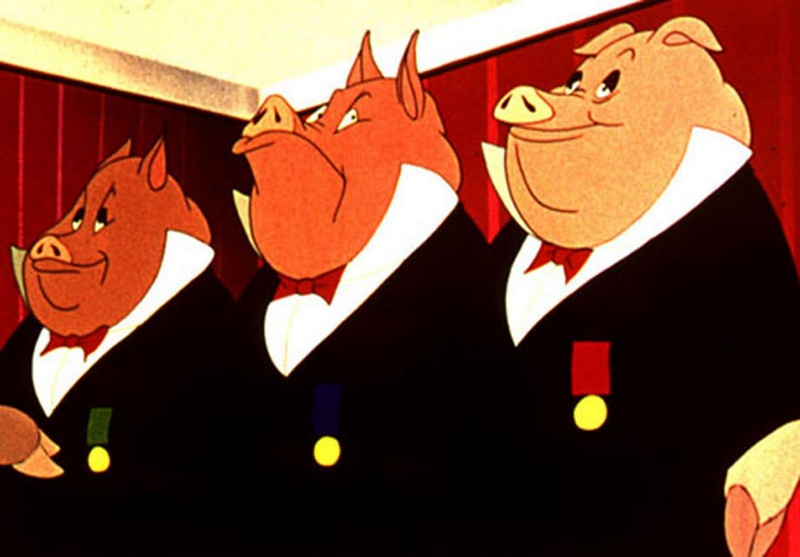 And so, it seems, Orwell had it right all along, about Occupy Wall Street no less than about Animal Farm: some animals are more equal than others. The attentive reader will no doubt have noticed that the names of six of these crème people are shown as links. The links are to statements by these crèmists declaring opposition to Israel. These statements vary in intensity, from the virulent Judeophobia of Kalle Lasn (who, by anybody's account, is the éminence grise of the movement) to a merely offhand defamation of Israel by Marina Sitrin. But here it is, fully six out nine crèmists have gone out of their way to harm Israel through public expressions of hatred. How common is that in the American population ? One percent ? It certainly does not represent the "ninety-nine percent" for which the crèmists presume to speak. So here is a humble request to the Crème from one of the ninety-nine: please, please do not do it in our name ! Rita and I spent a week in Berlin last month. Most of the time was spent visiting the small Jewish institutions, and the exercise was more than a little depressing. In short, there is no continuity at all with Berlin Jewish life before the War. Of course this was no surprise. But there were some features that were startling to me: much of what is ostensibly Jewish is in fact run by non-Jews. A recent article in the Jerusalem Report, "Jewish Newspapers without Jews," shows how ostensibly Jewish newspapers in Germany are in fact largely run by non-Jews, and are apparently also read mostly by non-Jews. The same holds true for other ostensible Jewish features of today's Berlin. There are Jewish symbols and Jewish titles for this and that, but there are few if any actual Jews behind some of these. A very conspicuous example of this make-believe is the continued existence, in the eastern part of the city, of what amounts to a sham synagogue. It was established by the Communist government in the final phase of the so-called German Democratic Republic and has had a continued existence in post-Wall Berlin, not only through the stealth of its promoter but also through the complaisance, fear, and cowardice of the authorities and the media. The story has been told a number of times, most notably by the well-known German Jewish journalist Henryk Broder in a (German-language) article in 1991. But there has been little attention to the matter in English, which alone could bring the matter to the attention of the Jewish community world-wide. (But see my link to the important work by Ruth Gay, below). Moreover, Broder's article and similar exposés are now twenty years old. I have suggested an up-to-date and in-depth inquiry, with the understanding that the results would be available in English as well as German. Here is the fundamental question: is there any legitimacy to the claim that this new Adass Jisroel is a continuation of the old Adass Jisroel ? That is has any of the characteristics of the old Adass Jisroel, any at all ? The original Congregation Adass Jisroel (עדת ישראל) was formed in Berlin in the second part of the 19th century by Rabbi Ezriel Hildesheimer and his Orthodox co-thinkers. They left the Unified Jewish Community, which, then as now, included both Orthodox and Liberal Jews, because they wanted a stricter Orthodoxy in their own religious life. They were secessionist, wanting neither government nor Community supervision, and, for the sake of their religious convictions, they forewent government and Community subsidies. As it happens, their intellectual and cultural achievements -- I speak as someone who (as a child) only observed them from afar, as an outsider -- were extraordinary. The famous Adass Schule at Siegmunds Hof in my old West Berlin neighborhood operated from 1924 until it was destroyed by the Nazis in 1938. It taught not only the Orthodox Jewish religion but also excelled in secular subjects, following the founders' dictum of Torah im Derech Aretz, i.e. a devotion to both Torah and secular learning. At its last Abitur in 1938, the (Nazi) government examiner was moved to compliment the graduates on their unusual scholarly achievements. Not longer after that, of course, the Nazis proceeded to send the bulk of these graduates to their death, together with the other remaining German Jews. There is not much to tell about the succeeding years. The East Berlin AJ synagogue was destroyed during the war, and nobody from the old AJ, or from anywhere else, appeared to take an interest. In West Berlin, of course, there was a functioning Unified Jewish Community, consisting mainly of Russian Jews and a few other individuals from here and there. In East Germany, tiny Jewish congregations existed in some places, by the sufferance and/or sponsorship of the Communist regime. That is until about 1986. At that time, Ari Offenberg, a grandson of one of AJ's founders, appeared in East Berlin together with his son Mario, to be designated by the Communist government as the rightful and legitimate resurrected Congregation Adass Jisroel. There were no other members in sight. Nevertheless the GDR government, with the personal approval of its lider maximo, Genosse Erich Honecker, proclaimed the Offenbergs as the legitimate, the continuing Adass Jisroel. Father Ari, however, remained in the background like a piece of stage prop. It was Mario, the son, who was and has remained as the star of post-war Adass Jisroel. Once the Berlin wall fell and the city was re-united, Mario lost his GDR protection and his GDR subsidies. But he was undeterred. He launched a five-year litigation against Berlin's Senate for the recognition of his AJ as a Jewish Community with equal status to the Unified Jewish Community, and, not coincidentally, for renewed subsidies from public sources. And after these five years, on October 15, 1997, he was given all that by the highest administrative court. Since then he has vocifirously campaigned against any and all who dare to question his bona fides, never hesitating to label his critics as anti-Semites, Stalinists, greedy Jewish oligarchs, as the case demanded. In the end, the Unified Jewish Community has declared some sort of a truce, under the theory, as one person explained it to me, that it is best to letting sleeping dogs lie. Offenberg has been sufficiently aggressive and media-savvy to intimidate all the various authorities of today's Germany. Mario Offenberg was born in 1946 in Tel Aviv and apparently served in the Israeli army, so of course he knows modern Hebrew (which, it goes without saying, is not the same as having had a Jewish religious education). In the late 1960's he migrates to Berlin with his father, and studies there at the Free University. In 1975 he completes his thesis, which, as Ruth Gay explains, was an attack on Zionism. In 1977 he makes an anti-Israel movie, which receives an award from the PLO. His politics were anti-Zionist Trotskyism in those years. In 1975, he collaborates with Eike Geisel to translate into German an anti-Zionist pamphlet by the Trotskyist Nathan Weinstock. Together with Moshe Machover, he publishes an article in 1978 in the Israeli Trotskyist publication Khamsin, in which he attacked anyone on the Left who might support Israel. What did the Jewish religion -- not to mention Orthodox Judaism -- mean to him in those days ? Henryk Broder interviewed a comrade of his from those days, who said that Ollenberg, at least at that time, was as much religiously Jewish as he himself was Santa Claus. Now of course people can change. We know that Saul experienced an epiphany and became Paul. Moreover, we are also told that there is more joy in Heaven over one sinner who repenteth than over ninety-nine who have no cause to repent. Did Mario Offenberg, like Saul, have some sort of epiphany ? Did he repent of the radical Trotskyism of his youth and middle age ? Well, when Henryk Broder asked him about it, Dr. Offenberg opined that his time is much too valuable to discuss matters of that sort. In the meantime, this new Adass Jisroel continues to exist, at least on paper. No rabbi is mentioned on its website. It runs what it calls a kosher restaurant, but when I visited this establishment last month there was no Jewish personnel to be found in it. All inquiries are to be directed to its office, I was told. But this office, when I tried to visit it, just happened to be closed, as it also happened to be closed when others tried to visit it. AJ is said to have a synagogue, but attendance there is allowed only by appointment. The large AJ cemetery, which was given to Offenberg by the GDR government, cannot be visited except by appointment; people I know tried to make such appointment but were told that 6:30 in the morning is the one and only time for which an appointment can be considered. Last year there were press stories that the Berlin government is demanding proper accounting of the funds that it has channelled to Offenberg, as required by law, but apparently refused by Dr. O. Then the story was quietly dropped. When I was in Berlin now, I met with a reporter from one of the Jewish papers (who, of course, was not Jewish himself). I was interviewed most courteously, and a most courteous account of my visit was published. But there was not a word about the main interest that I expressed in the interview, viz. 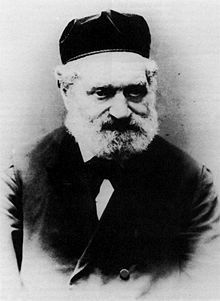 Adass Jisroel. The reporter later told me why this was red-pencilled by his editor: let sleeping dogs lie. UPDATE, March 26, 2012: It now seems that a new court judgment has recognized the fraudulent nature of Offenberg's operation, and that this so-called synagogue may well be forced to shut down. 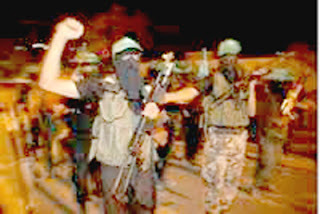 Some of the discussions by Jewish "progressives" and their allies have used the Shalit prisoner exchange to propose a moral equivalence between the Israeli justice system and the Hamas abductors. First, there is a relatively mild version. There’s a lot more that can be said on this, of course. For example, the diverse reasons that so many Palestinians have been imprisoned, some justly and others not: from participating in heinous mass murders to offenses that should not be cause for imprisonment, e.g., merely being a member of Hamas. In other words, the Israeli system of justice is sometimes just, to be sure, but at other times it is unjust, when, not to put too fine a point on it, it functions on the moral level of the Hamas abductors. Mr. Seliger insists that there are "so many Palestinians" who may have been, or have indeed been, imprisoned for "offenses that should not be cause of imprisonment." How does he know this ? He speaks, by way of example, about "mere membership" in Hamas as too trivial for punishment. But what were the details in cases that he would consider instances of unjust imprisonment ? Were these cases of Hamas membership with or without criminal conspiracy to commit murder ? What does he know about actual cases ? If he knows he will not tell. We are just asked to trust him that "there is a lot more that can be said" about the Shalit matter, namely that Israel acts unjustly. If Mr. Seliger's musings are annoying and pretentious, his colleague Ashley Bates on "Tikkun" (to which Seliger also contributes regularly), is more than a bit over the top. Now, we know that the boss of Tikkun is person whom his supporters and he himself call Rabbi Michael Lerner, but who has steadfastly refused to disclose how or by whom he was ordained, apparently on grounds of freedom of speech or some other important democratic principle. I have had occasion to write about him before; since then, I have found nothing on his on-line publication that detracts from my impression of him as someone implacably hostile to Israel and the Jewish people. Ms. Bates, in her contribution to the Lerner blog, complains that media reports on Shalit have given the impression that only he was a victim when, in fact, according to Ms. Bates, there are thousands of Palestinian prisoners in Israeli jails who suffer just as much. At least many of these imprisonments, she suggests, are as unjust as that of Gilad Shalit. On these general matters she resembles Mr. Seliger, but then she does something that Mr. Seliger does not do: she goes into detail. And she does this with such surprising clumsiness that any attentive reader is bound to catch her various distortions. 1) how many Palestinian prisoners in Israeli jails ? Since the beginning of the Israeli occupation of Palestinian territories in 1967, over 700,000 Palestinians have been detained by Israel. This forms approximately 20% of the total Palestinian population in the Occupied Palestinian Territories (OPT). So Ms. Bates goes from the "have been detained" of her source to "have served time in jail." "Detained" by police can mean detention of a few minutes or hours to much longer. Not a distinction that Ms. Bates will entertain. This switch -- from detention in her source to imprisonment in her text -- is enough to destroy any and all credibility of her piece. And, we must conclude, this is not a matter that the learned Rabbi who is in charge of Tikkun would care to investigate. There is also something breathtakingly vague about the computation of that twenty-percent figure. A percentage computation requires a numerator -- in this case the number of prisoners -- and a denominator -- in this case the population. When Addameer speaks of the Palestinian population "since the beginning ... in 1967," just which population figure does it have in mind ? In the last forty four years many have died, many were born. Does Addameer include in its population the total of all these lives and births and deaths ? Or only the population at one point in time ? If it is the latter, as the context suggests, then the denominator is artificially diminished, leading to an artificially inflated percentage figure. Of course all this asumes that we can trust the original raw figures, which we cannot. But even if they were trustworthy, the computational errors would vitiate the results. Does either Ms. Bates or her self-styled rabbinic supervisor care about such detail ? Apparently not. Most of Ms. Bates's piece is taken up by the case of Palestinian convict Ameer Makhoul. Ms. Bates's take on the case is that it is a matter of unjust imprisonment for strictly political reasons, citing Amnesty International and a variety of pro-Palestinian sources. She writes about 500 words on this case, charging forced confessions and other such matters. She also reports that Makhoul is now involved in a hunger strike, etc. But nowhere in her piece does she mention that Makhoul in fact agreed to a plea bargain in which he admitted espionage against Israel. The facts were reported in Haaretz, and were certainly available to Ms. Bates. Why does she suppress them in her reporting ? Ms. Bates suggests that Makhul was victimized because he supports a boycott of Israel, and she cites the recent anti-boycott legislation in Israel as somehow relevant to his case. Like others, she distorts this legislation (see my blog on this, and also that of NGO MONITOR). But her overall charge is really against the Israeli system of justice as a whole: it is unjust, period. To believe this proposition, which is also endorsed by Mr. Ralph Seliger and other Jewish "progressives," one would have to be so biased against Israel (and the Jewish people) as to simply overlook the internal inconsistencies and obvious distortions of those who advance it.